The Olbrich Botanical Garden is a magnificent 16 acre garden in Madison, Wisconsin. A sister garden blogger, Beth Stetenfeld, took my husband and me on a tour of the garden in the spring. The first surprise was that there was no entry fee at all. The Olbrich is free and open every day. Michael Olbrich (I881-1929) spent most of his adult life in Madison where he was an esteemed lawyer, but he was also a man who had a “passion for social betterment and a love of nature.” He believed parks were important to urban life. In 1921 he gave the city a plot of land he owned on the shores of Lake Monona for a park and in 1952 the city built the first buildings for the botanical garden on a portion of that land which they named after Olbrich. As in any botanical garden, there are sections for different types of plants. We strolled below a graceful wisteria garlanded pergola to enter the main parts of the garden. It will not be a surprise that I wanted to see the Rose Garden, even though there was not much in bloom at that time. However, the gardeners included spring bulbs, and blooming perennials like amsonia, columbine, and verbascum so there is always something to enjoy. In addition, the Rose Garden has many containers filled with dianthus, verbena, helichrysum, salvia, artemesias, fuchsia and many other plants to keep that garden in full and varied bloom all season. The Garden has been designed to reflect the style and culture of that part of the world. A case in point is the stone prairie style tower stands over the Rose Garden giving visitors the chance to enjoy the garden from a whole different perspective. The space beneath the tower structure created a cool shady walkway lined with potted plants. I was fascinated by the Rain Garden which collects storm water and runoff so that it can slowly be absorbed, hence recharging the ground water. The Olbrich Rose Garden, and all others, are designed and maintained in a sustainable manner. Plants are adapted to and sustained in the local climate, without extraordinary water, chemical, and care demands. The Rose Garden is just one of many special gardens. There is a special garden devoted to wildflowers, to herbs, to perennials, a rock garden, and a garden designed for shade. Happily there are many places along the way to sit, to catch your breath and to take in the view. Beth and I enjoyed just such a respite in the Meadow Garden. One of the surprises of the Olbrich Botanical Garden was the Thai Pavilion. According to the Olbrich website the University of Wisconsin-Madison has one of the largest Thai student populations of any U.S. college or university. The Thai Government and the Thai Chapter of the Wisconsin Alumni Association made a gift of this pavilion to the garden. The site is near a stream because water is a Thai symbol for good health and prosperity. The pavilion was built in Thailand, then dismembered and reassembled on the chosen site in the Olbrich garden. No nails or screws are used in its construction. The intricate decorations include gold leaf etchings, and a lacquer finish. This pavilion is only one of four located outside of Thailand; others are in Germany, Norway, and Hawaii. A special Thai garden surrounds the pavilion. Wisconsin is not a place that can grow the tropical plants that abound in Thailand, but the idea is to surround the pavilion with plants that resemble Thai plants in size and form. These include grasses that reach 12 feet and hardy bamboos. This is truly a wonder that I never expected to find in a state as chilly as Wisconsin. In their various ways all botanical gardens are educational. 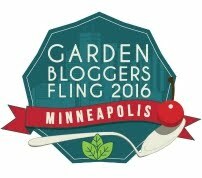 The Olbrich spells this out for gardeners in their website. One section of the website is devoted to sustainability, with information about soil building, natural insect control, advice about using chemicals, greener garden alternatives and more. Another section is a gardening calendar beginning with December and listing appropriate chores through the year. Obviously this is a Wisconsin calendar, but it would provide plenty of reminders for us in Massachusetts. On our flight home we talked to a young woman who was settling in at a new house and she was ready to think about her landscape. She asked me what she should do. What should she plant? These were not questions I could answer for a Texan in the half hour we had left. I only had questions for her. Where did she live? What was the climate? What plants did she like? How much time does she want to spend tending a garden? This is a question budding gardeners do not often ask themselves. They must also remember that a garden is not made by sitting in the shade. I saw this garden with Beth and a few other Mid-West Gardeners a few years ago only it was later in the year. I would love to see it again during spring. I thoroughly enjoyed it. I am glad you did too. That was a fun day, wasn’t it? 🙂 The Thai Pavilion is really a thing of wonder. I always underestimate the effect it will have on me each time, until I get there. It’s so impressive in every season. Great post, Pat! When the Thai ambassador (I believe that was his title) visited, Olbrich gave him a photo of the Thai garden covered in snow in the winter. It is the only Thai garden where that happens, so it is quite a moving sight. Linda – The Thai pavilion is truly an amazing and beautiful edifice. I am so glad our friend Beth thought to invite us there and give us the tour when we were visiting the area.